I ordered this table to accent a sitting area in my living room and it was perfect. The size was just right. I ordered the black table and it arrived within a reasonable amount of time. I could not have gotten a better deal for such a beautiful piece. I'm a single girl and I put this together myself with no problems. Also got the lamp base and shade at Walmart too! I couldn't be happier. 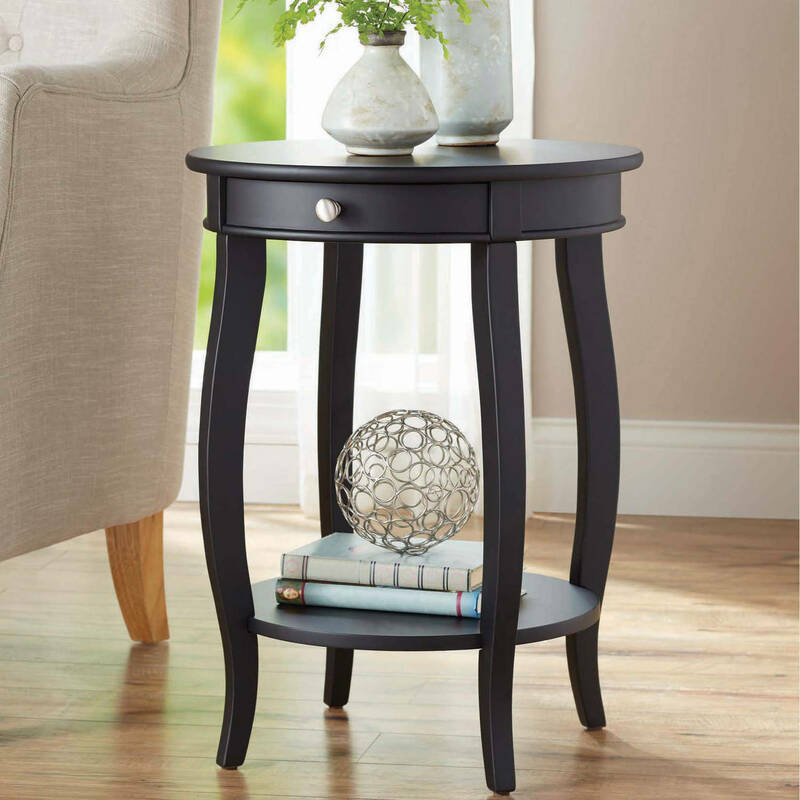 Home territory searches the web to find the best prices and availability on Accent Tables and related products foir your home like Better Homes & Gardens Round Accent Table with Drawer, Multiple Colors. For this page, related items include products we find that match the following keywords: "Accent Table" at our vendor partner Walmart - Click More Info / Buy Now to check for price rollbacks!. Better Homes & Gardens Round Accent Table with Drawer, Multiple Colors is one of 141 Accent Tables and related products available for sale through HomeTerritory.com, If you have any questions on this product, please give us a call at 734-971-1210 during the hours of 9am - 5pm EST for assistance. Thank you for shopping at Home Territory, the home furnishings superstore!